Error: Unable to find the requested .Net Framework Data Provider. It may not be installed. We started getting Error: Unable to find the requested .Net Framework Data Provider. It may not be installed. But framework is loaded and this just started happening. We can logon but not navigate anywhere. 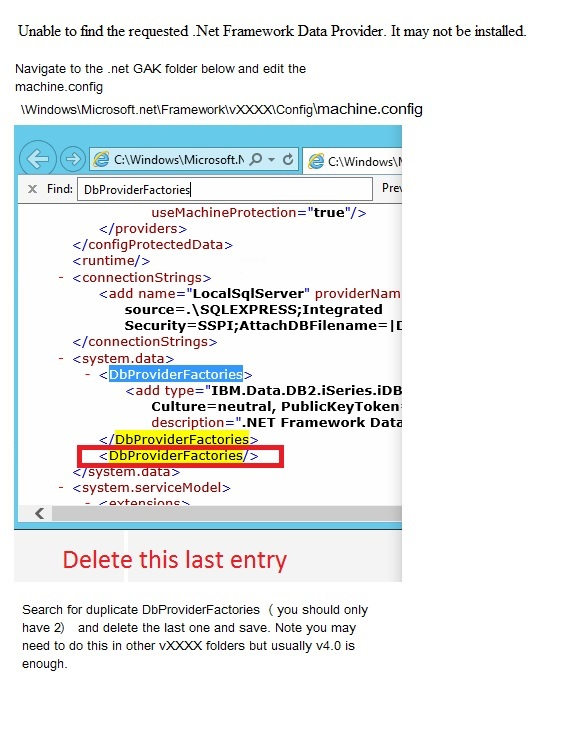 Please see screenshot on what to remove from the machine.config. (extra entry) save and try it again.